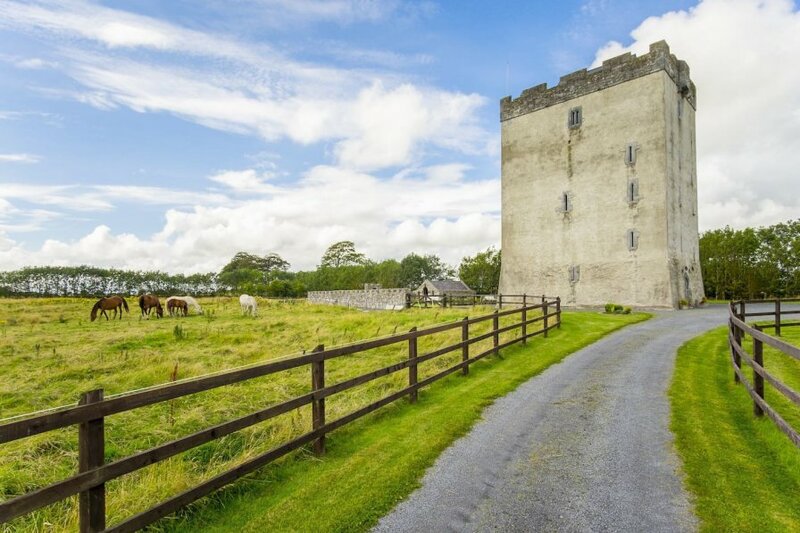 Deburgo Castle in Ireland's county of Mayo is a uniquely romantic holiday, wedding, party and conference destination that provides luxury accommodation. Gallery: An intricately designed minstrel's gallery spans one end of the hall just waiting for the musicians to arrive, or failing that there is a valve amp CD system which takes full advantage of the incredible acoustics! Follow the stairs to the top of the castle and enter the Lord and Lady's apartment (sitting room). This is a large room gracefully furnished with antiques and hung with tapestries. The trussed roof was modelled on Dunsoghly castle and is a masterpiece of craftsmanship, with every rafter and beam hand-crafted and traditionally treated.